Primer alone looks nice! 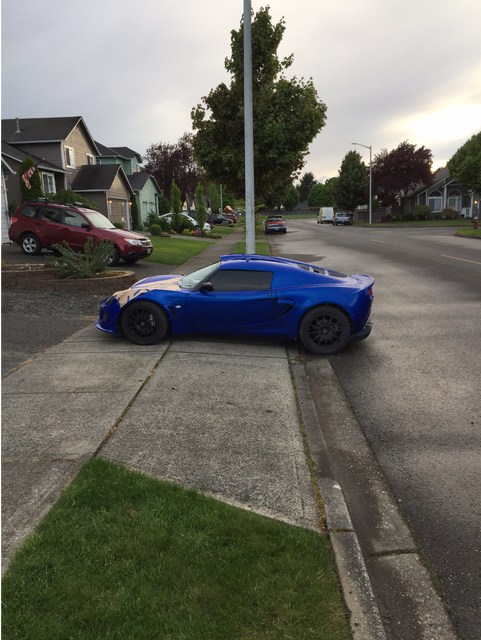 My only concern is the asymmetric wheel well gaps. Who was the clam provider in the UK? Very, very, very interested to know the clam provider as well. Was it Eliseparts by chance? 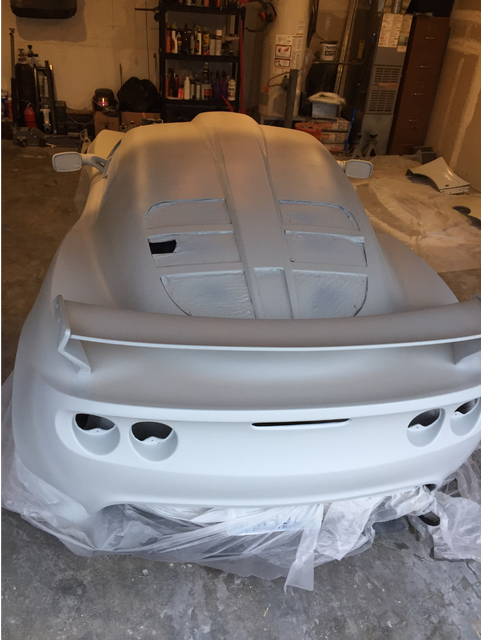 I'm thinking about an Elise to Exige conversion as well starting with the front and rear clam plus quarter panels and fittings and then working out the other stuff later as money comes available. 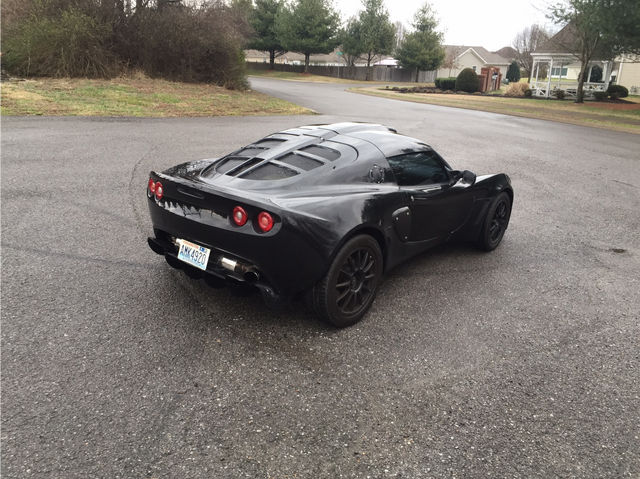 I'm very curious if people have had good luck with the 2005 Elise when converting to Exige parts and the only affordable seller I've found so far is the Eliseparts site. May try to PM you in case you don't ever check back on this somewhat older thread. 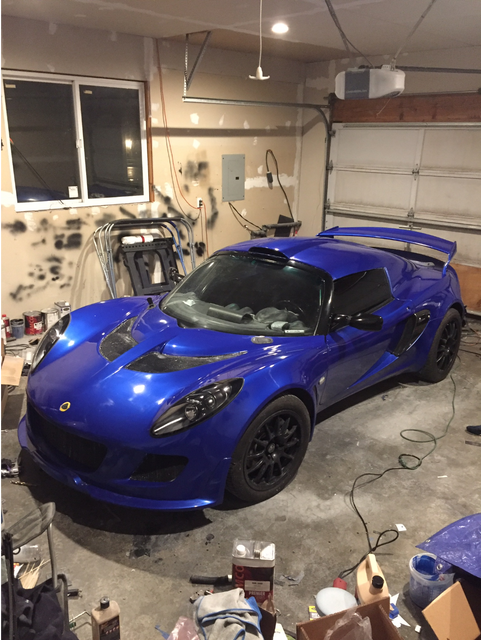 I too, am very interested in Elise/Exige conversion clams. Nearly finIshed, just working on mesh at this time. Last edited by brandocommando; 10-03-2015 at 03:07 AM. It's not letting me attach more than a pic at a time on my iPad.... Here it is on a truck scale, 1840 lbs with 5/6 of a tank of gas. Eventually I will update with higher quality photos, these are taken with my iPad and don't do the paint job justice. Looks brilliant! I really like it without the wing too! I really like it without the wing too! 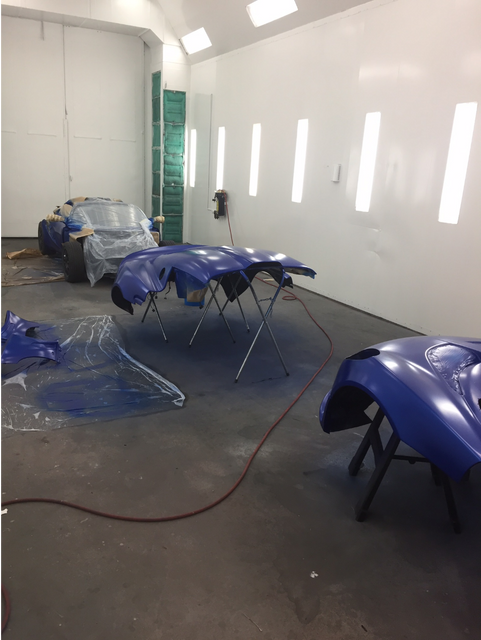 Here are some new pictures of my never ending project for those who are interested. 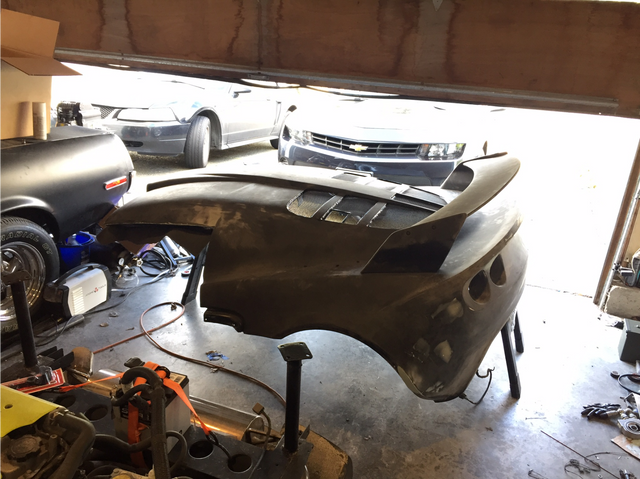 I was not happy with the fitment of the rear hatch and some of the seams so I did some extensive work to make it all 1 piece. Eventually I will post more pictures of the inside and other modifications. So, how do you access the engine if the clam, hatch, and roof are all one piece now? I can do everything from below the engine since I have completely removed the trunk space. If I need to do extensive engine work I can remove the rear clam and place it on stands as pictured. Does checking the oil fall into the extensive engine work category? Or replacing blown fuse by the ecu? Can you use the BOE Clam Hinge kit? That thing is pure racecar awesomeness. Love the color, btw.